Rezoning applications for the proposed North Decatur Square have been approved by the DeKalb Board of Commissioners. According to the Decatur Heights Neighborhood Association (DHNA), the plans were unanimously approved last week by the commission. The multi-use development to be anchored by 365 by Whole Foods Market. "The final design reflects their extensive community engagement with its tree-lined multi-use paths, inviting public spaces, and improved pedestrian connectivity throughout the site," the DHNA said in a statement. "The 300 apartments will include a minimum of 30 units of workforce housing so as to accommodate hospital workers and others earning up to approximately $44,000 annually. 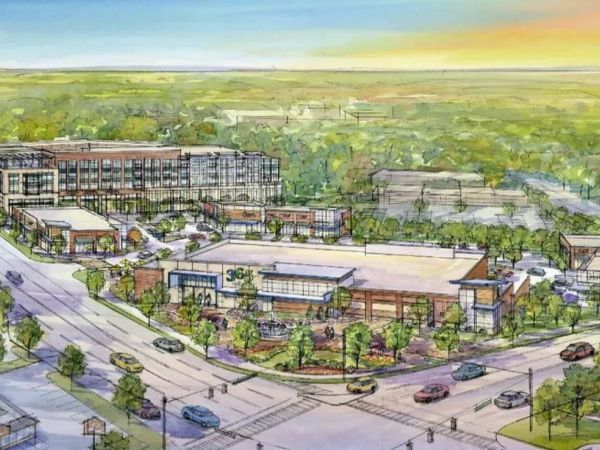 The 365 by Whole Foods Market and similar caliber commercial businesses will be welcome additions to the area." Explorations with MARTA the potential for a sheltered bus stop at the development.